If there is one thing that I’d like to do as a traveler, it will be to fully enjoy a place that I’m visiting. This happened to me when we visited Kalanggaman Island a few months back. Not that I’m complaining, but I sure would’ve loved more time to enjoy the beach, its water and the peacefulness of this small paradise. Guess that’s the cons of blogging. Often, we are pressured to see it all and learn as much as we can that we often leave without fully enjoying our time. 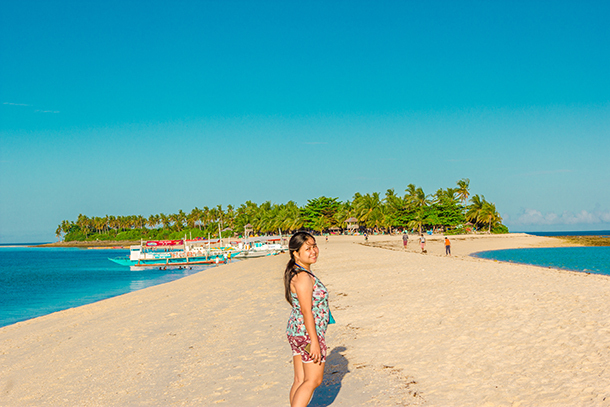 Despite the limited time, Kalanggaman Island in Leyte has definitely made me wanting more.. More time and more memories! A quick backstory.. We arrived in Palompon Port at around 3PM but did not leave the port until 5PM. The Palompon Eco-Tourism office schedule all boats departing for the island and there was a delay on our group. Our supposed to be departure was at 2PM but due to bad weather conditions, we were late arriving at the port and got even delayed with the assigned boat. We had to negotiate with the boatman about the departure for the following day as it was the same boat that will bring us back to Palompon. The group had two (2) departure times the following day: 9 AM and 12 NN. There were people from our group that had to catch their flight to Manila from Tacloban. Thankfully, our guides from Ludifytrips was able to schedule everything (I’ll cover about our entire trip with Ludifytrips on the blog soon, so watch out for that!). When everything was sorted, we were finally able to board one of the out- triggered boat. Before departure, we had to wait for our fresh water supply and the boatman. It took a while for everything to get settled and we were very impatient by then as most of our companions (including us) wanted to experience the golden hour at the island. Once complete, a personnel from the Palompon Eco-Tourism office gave us a brief introduction as well as the dos and don’ts about Kalanggaman Island. 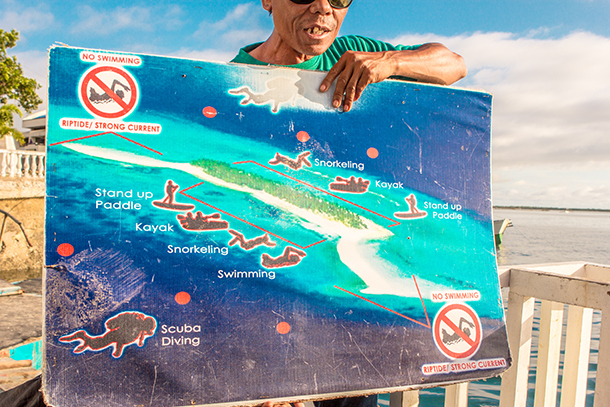 There were reminders on where to swim, scuba dive and other activities available as well as the usual tips on safety and cleanliness. For those who are wondering, Kalanggaman Island is a small island near Palompon, Leyte. 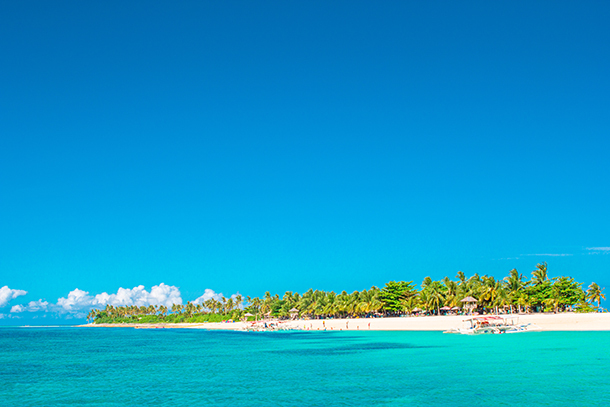 It’s a long stretch of white beach in the middle of the ocean. 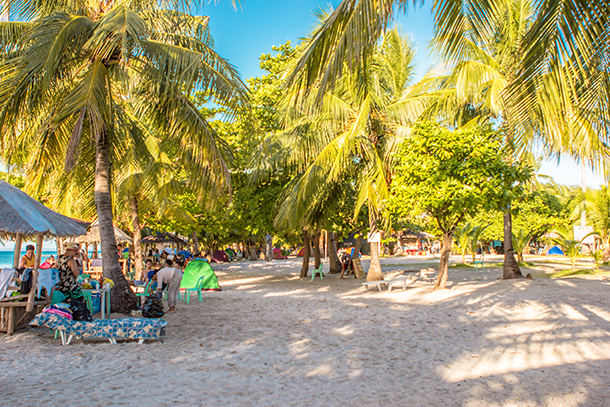 For years now, the island has been gaining a lot of attention from locals and tourists alike because of its white sand bar and crystal blue waters. 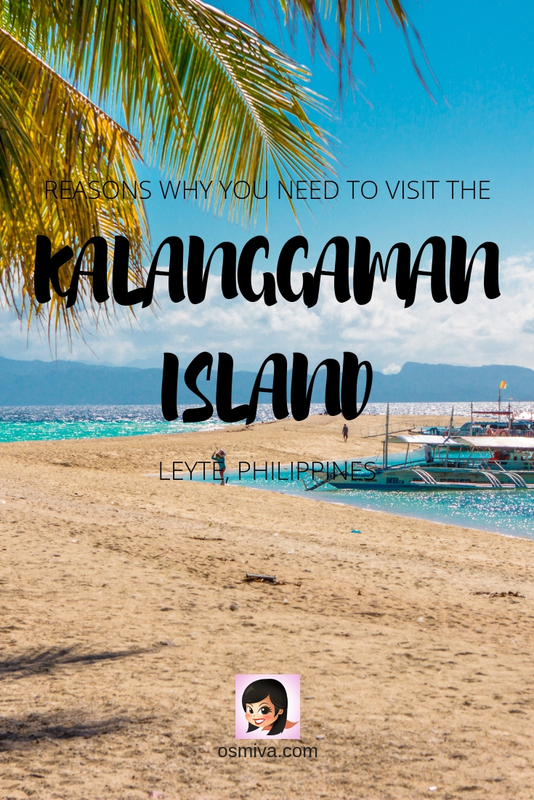 It’s named after the local term for birds (langgam) to which the island’s shape resembles that of a bird, thus Kalanggaman. To reach Kalanggaman, if you are coming from Manila you may book a flight via Tacloban. From Tacloban, ride a van or bus going to Palompon. Fare is at 170 Php ( and may take up to 2-3 hours depending on the speed. 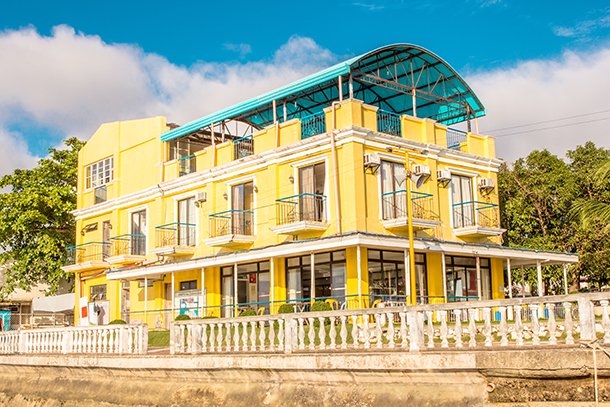 Alight at the terminal and go to the Palompon Tourism Office near the port. 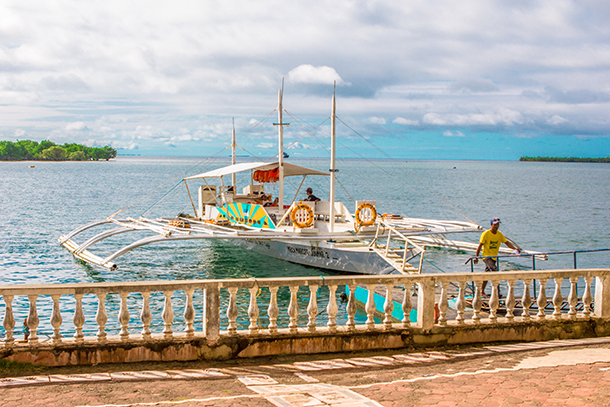 If from Cebu, you may ride a fast craft or an slow boat from the city to Ormoc then ride a van/ bus going to Palompon. Travel time is at 1.5 hrs and fare is at 110 Php for the bus while travel time for the fast craft is at 3 hours and for the slow boat around 6 hours. Another option is to go via New Maya Port or Bogo both are which located at the north portion of Cebu. You’ll need to ride a bus going to Bogo or New Maya Port with travel time varying from 3 hours to 5 hours respectively. 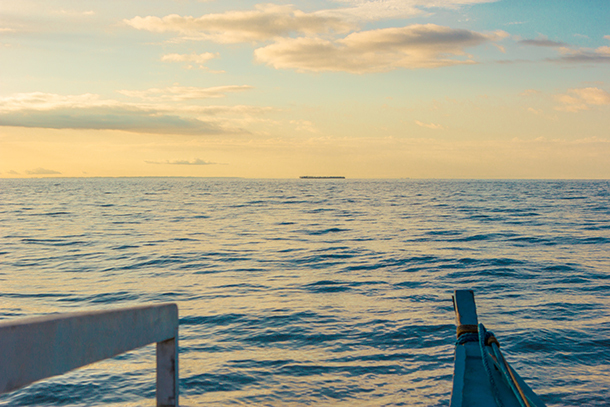 Once arrived, you’ll need to ride a boat to take you to Palompon (if from Bogo) and directly to Kalanggaman (if coming in from New Maya Port). There are entrance fees to be paid for the maintenance and upkeep of the island. 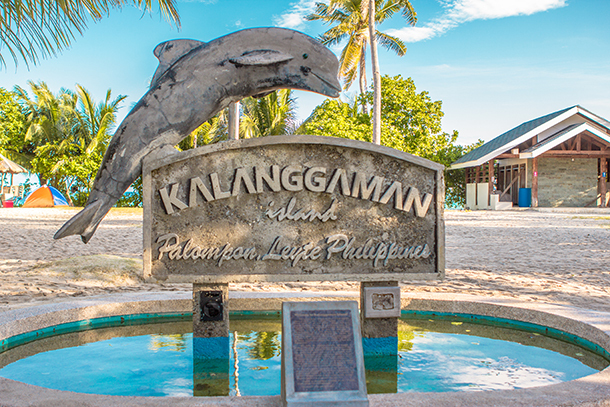 The Kalanggaman Island entrance fee for day use varies if you are an international tourist, a non-Palompon tourist, Palompon tourists and depending on the age. For day use, price starts at 20 Php to 500 Php for its guests. While for overnight stays, fee starts at 30 Php to 750 Php. For pump boats (local term for the out trigger boat), the smallest is at 3,000 Php good for 15 persons and the biggest is at 4,000 Php, good for 30 persons max. You can always share with other passengers if you’re with a smaller group to lessen the expenses. 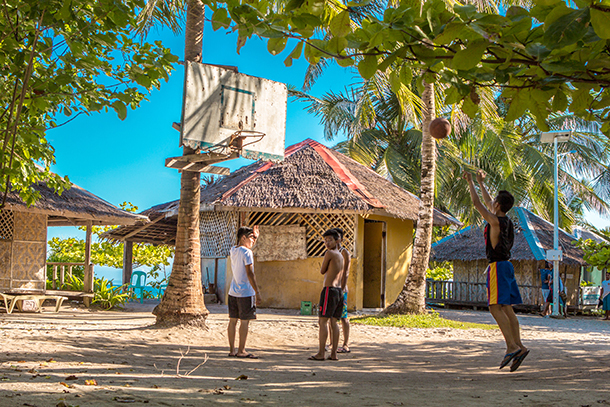 There are cottages that you can also rent at the island and its starts at 250 Php for the smallest (15 max capacity) and 700 Php for the biggest which is good for 30 persons max. 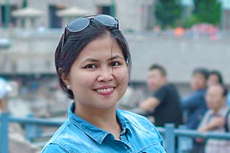 You may call their Tourism Booking Office at (053) 555-9731/ 09268164005/ 09268164007/ 09985551421 for reservations and queries. Just recently, a resort has opened in the island near the west wing that offers some amenities to the guests. This includes FAT bikes, a restaurant, additional rest rooms (as there are available rest rooms at the east wing), banana boat, a tree house, jet ski and teepee huts. All of this are available for a fee. 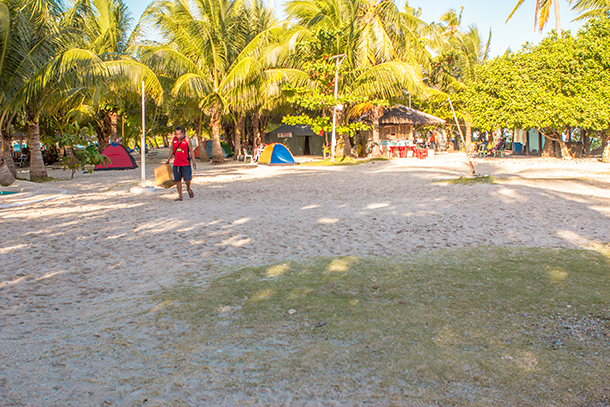 The teepee huts for example are at 1000 Php and can accommodate up to 4 persons. I’m not sure if beddings are already available, though. 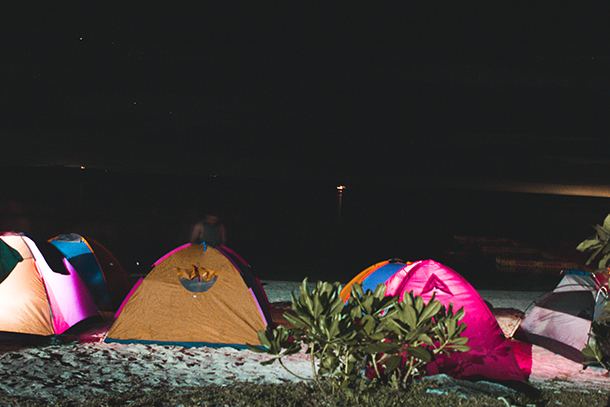 However, you may rent some tent for the night for a fee and just camp under the stars. We bought ours with us. This was the same tent we always bring and is included in our Mt. Pulag packing list among others. You may also stay at the cottage if you are able to rent one and sleep there just like some from our group. 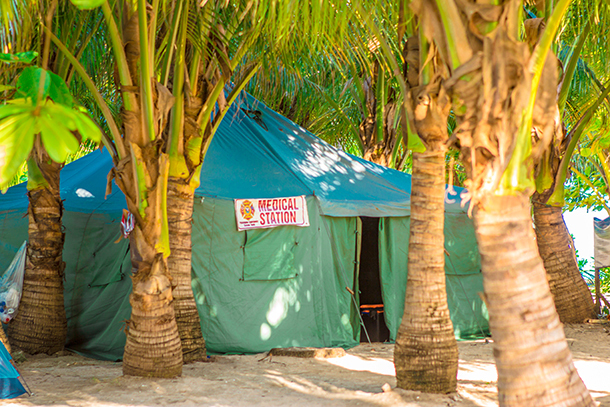 A Medical Station for those needing medical assistance. A basketball hoop and corresponding open space for those wanting to sweat it out (aside from the heat of the sun. LOL). There is a volleyball net for some beach volleyball too. A life guard station where my husband was able to capture a beautiful view of the sunrise. 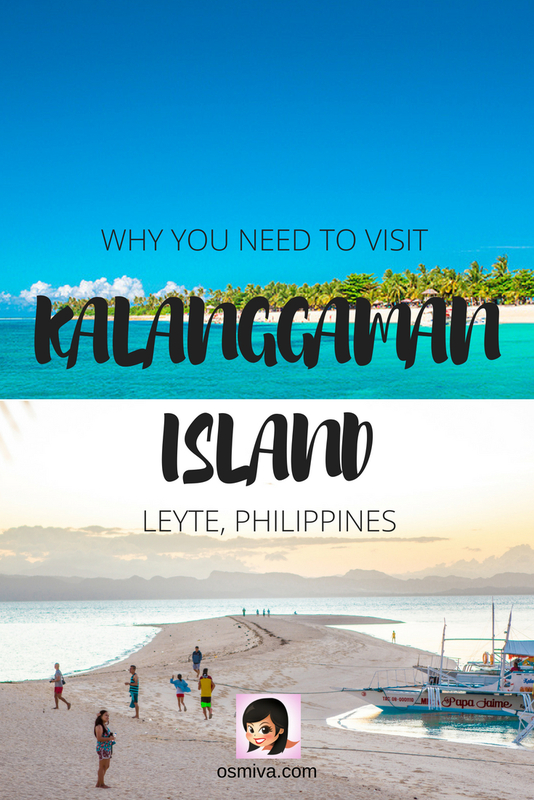 Now that we have gotten all that basic information out of the way, let me give you some ideas why you should visit Leyte’s island paradise that has been getting waves among locals! 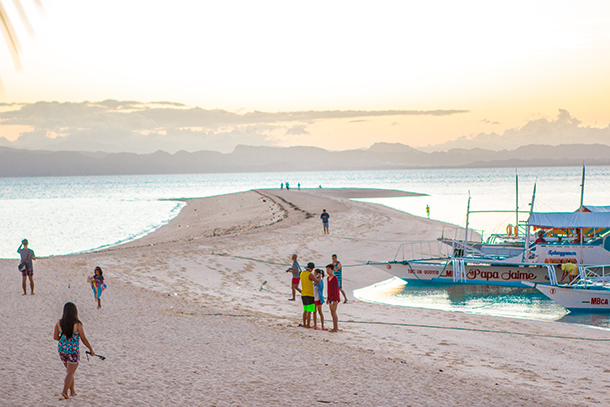 Kalanggaman Island’s sandbar is considered to be one of the longest in the Philippines. It’ll take you a couple of minutes to reach one end from the other. It’s not as fine as those in Boracay or in Panglao, though. But it was pretty scenic! We thoroughly enjoyed our leisure walk here at night and in the morning while capturing the sunrise. Though at night time, it was a bit creepy as it was pretty dark (well, creepy if you have an overactive imagination like I do sometimes. LOL). 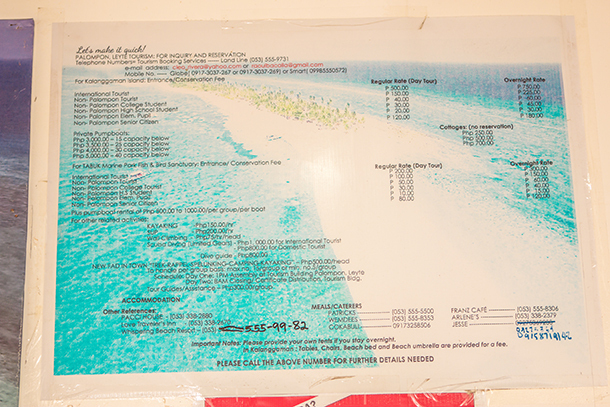 Kalanggaman Island has some designated swimming areas. It is not allowed to swim near the eastern and western tips of the sandbar as the current can be strong. Unfortunately, despite the countless reminders (it was mentioned during the briefing and they also have a signage just before entering the sandbar), people were still swimming there. The water was pretty inviting and I’m sure a lot will be tempted to swim especially near those mentioned area. But please don’t be that person who refuse to heed safety reminders like this. Admittedly I never did got a chance to swim on the its waters – something that I need to do when I go back. We brought our headlamps with us as we knew there was no electricity in the island – well there were a few areas where there were lamp posts. 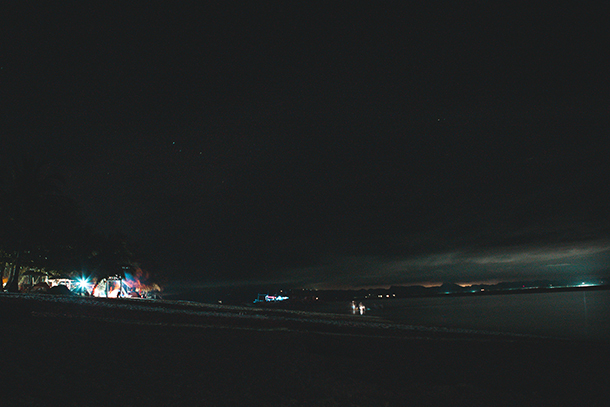 Most of the island including the sandbar portion was in complete darkness. Nevertheless, we took the opportunity to play with lights and spent a couple of minutes running around like little kids and played with our camera’s long exposure. There is something about being disconnected from the internet and the daily routine that make activities like this fun and enjoyable! 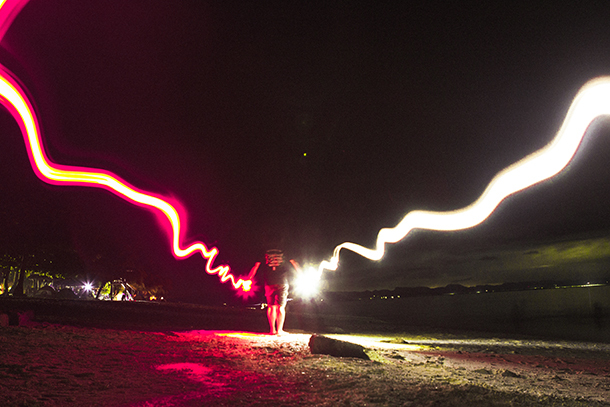 At night, there are areas in the island where there is no light at all. Take this opportunity to star gaze (well of course, still depending on the weather). Fortunately for us, there were plenty of stars at night. I got to spend several hours star gazing by myself. Apologies on the photo as we were not able to capture the stars on camera. I’ll assure you, however, that it was indeed a starry night! My husband was a bit busy during that time, so I was pretty contented with my alone time. Funny how this moments are just so precious! Sadly, we were not able to see the sunset at Kalanggaman (that’s definitely one of my reason why I need to go back). We watched it from the boat while making our way towards the island. It was still beautiful though. 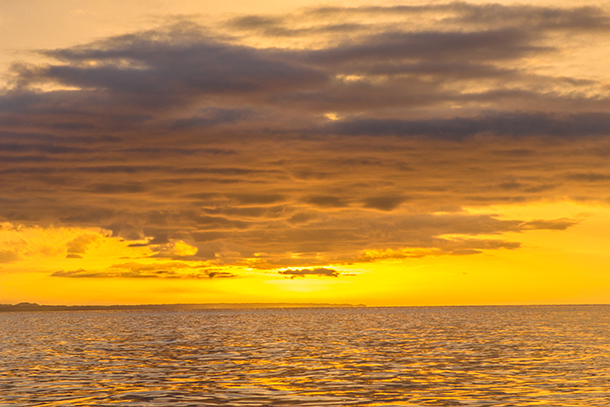 Fortunately, we were fortunate enough to witness its gorgeous sunrise! Waking up at 5:30 AM and rushing out to catch it was definitely worth it. 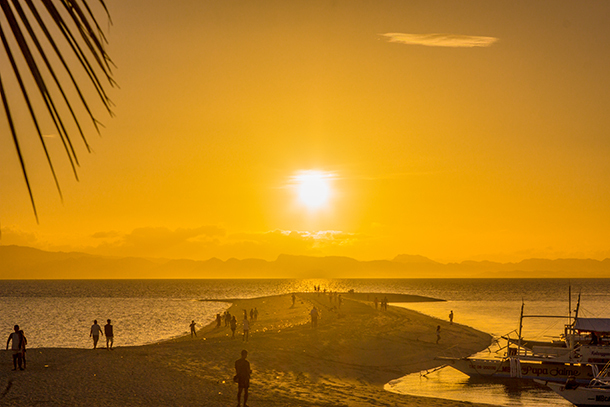 We waited for a couple of minutes just to see the sun bathe the island with its golden glow and it was magical. My husband (the ever time-lapse lover that he is) patiently waited at the Life Guard’s Station to capture that amazing moment with our camera. Thankfully we were able to charge our gadgets beforehand. 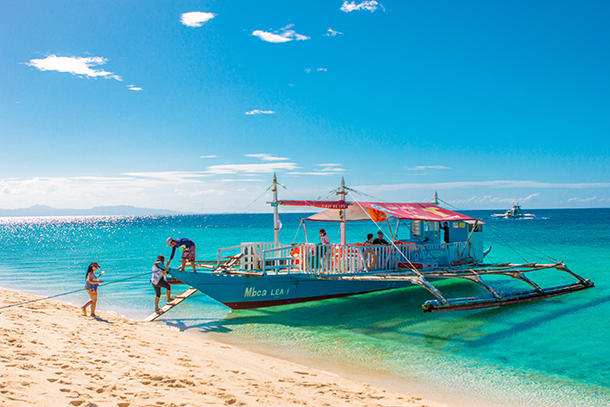 Aside from the island’s natural beauty, the local tourism has also provided some water activities for everyone with a fee. This includes, Scuba Diving, Snorkelling, Wall Climbing, Surf Up Paddle and Kayaking. My husband has been here before and according to him the corals were gorgeous. As I wasn’t able to do that previously, I’d love to try some snorkelling (and maybe kayaking) when I get to return! We left with the 9AM group the following morning. I know, I know, pretty early, right? But, there we were. We’ve only been in the island for less than 24 hours and I couldn’t help but utter the words that General Douglas MacArthur has spoken: ‘I Shall Return’!. 1. There are limitations to the number of people visiting the island so it’s better to pre-book beforehand. Usually they’ll give you a time slot for your trip. Walk-ins are alright but be prepared just in case you’ll need to return the following day. 2. Direct booking with pump boat owners are not allowed. So to avoid getting both of you in trouble, contact the tourism’s booking office directly. 3. Boats leave before sunset and won’t return until the next day. So make sure to schedule your pick-up times with your boatman beforehand. 4. 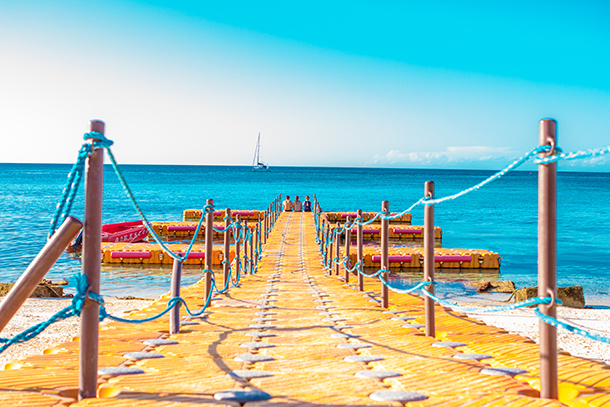 There are no stores in the island so make sure to bring all your essentials with you including food. 5. There is no electricity in the island where you can charge your gadgets. Therefore, make sure to have all your gadgets fully charged with you or bring a power bank. 6. Changing Rooms and Toilets are available but just a few. Infrastructure are still basic which includes a few cottages, a small multi-purpose hall and a treehouse. 7. Use of soap, shampoo and detergents are prohibited in the island as it may cause harm to the eco-system. You’ll just have to make do with regular fresh water and just wait until you’re back at the mainland to shower. Shower rooms are available at the tourism office and is free as it is included with your fees. 8. ‘Leave nothing but footsteps’ is an adage that we are all familiar with. That being said, make sure that you bring all things with you when you leave including your trash. Here’s a video of my husband’s trip with his cousins a few years back in Kalanggaman Island! 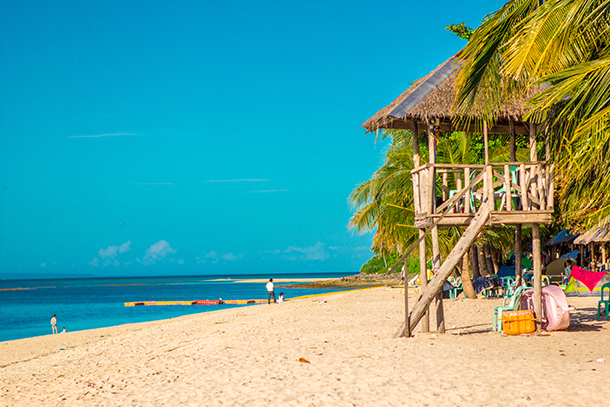 Enjoy and hope it’ll make you want to visit Leyte’s island paradise! It looks so magical! I have never been to the Philippines but I would love to go now! Thanks for the travel tips! I love the look of these beaches! Take me there now! Such lovely pictures, I fell in love with it. Wow! The scenery at the Kalanggaman Island is so magnificent and your pictures left me speechless, Marvi! 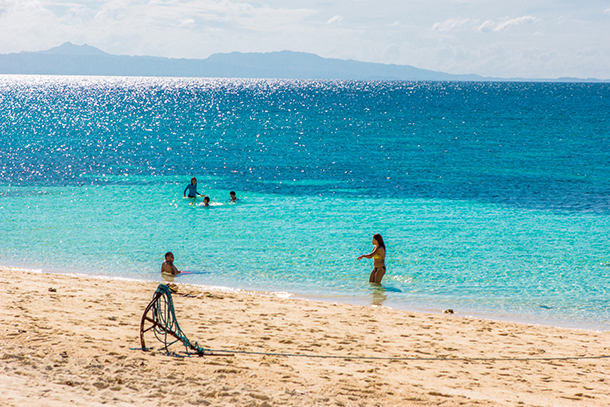 When would it be the best time of the year to visit Kalanggaman Island? Great guide! I’ve never heard of this island but it looks magical! I have added it to my “someday list” and hope to #MakeSomedayHappen soon. I will be saving this guide for when I do. You’re welcome. Thank you, Danny! The more I see of the Philippines, the more I want to go and visit some of these white sand beaches. Kalanggaman Island is new to me, but it looks like a piece of paradise. Like you, I often feel like I don’t have enough time somewhere. Oddly, the photo here that really caught my eye is the one you called playing with light. Such a cool effect. Kalanggaman is so gorgeous! 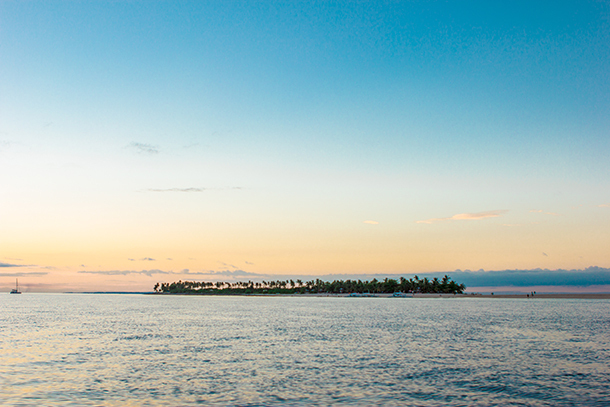 I’d love to stay in a sort of back-to-basics kind of island.